While the Toyota U151F transmission is found in a lot of Toyota and Lexus vehicles like the RX300 and RX350, it doesn’t have the greatest reputation among technicians and owners. Chances are you will not be rebuilding the transmission, but rather you will be listening to your customer’s complaint and diagnosing it. Knowing where to start is the most challenging part of the job. The bottom line with the U151F is that if the electromechanical part of the transmission is not correctly controlling the mechanical components of the transmission, a mechanical failure will happen. Older automatic transmissions were inefficient. Most had only three forward gears that were shifted independently of the engine, except for a throttle or vacuum signal. The strategy was to smoothly engage clutches and lock the torque converter when a specific rpm is reached. A lot of fuel was wasted spinning the blades of the torque converter and letting the clutches slip. Some modern automatic trans-missions can provide better fuel mileage than a manual transmission-equipped vehicle. Part of the reason this is the case with Toyota and other transmissions can be attributed to more forward speeds and less frictional losses. But, the real reason for the increased fuel mileage is the management of the engine and transmission together as a single unit — this is the case with the U151F. If you are dealing with a failed transmission or a malfunctioning transmission that is slipping or has harsh shifts, pull the pan and examine the fluid. Any large metal pieces or a large volume of smaller particles attached to the magnet is a sign that a clutch or brake has been damaged. 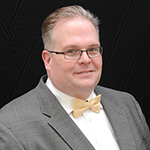 Like an engine, most modern transmissions have monitors, drive cycles and enabling criteria. The transmission is looking at inputs on the transmission and engine to determine if there is a fault with the transmission. These inputs include speed (crankshaft and vehicle), fluid temperature and pressure. The U151F has nine shift solenoids that can generate a lot of codes for opens and shorts. 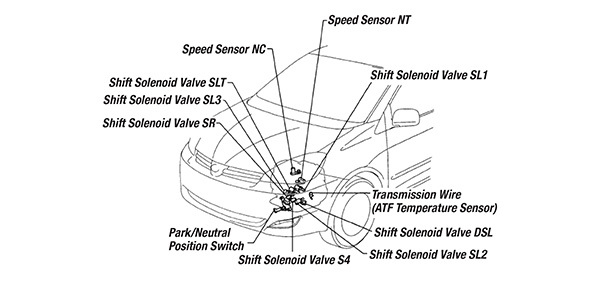 The shift solenoids also have monitors that monitor the performance with pressure sensors and speed sensors. Some of these codes will guide you to a problem with a solenoid or the circuit. There are two strategies when diagnosing solenoids. The first is to look at the circuit with a meter. The meter can display an open or a short in the circuit by just looking at resistance. But, this is only half of the story. Using a scope to graph the inputs and the outputs will let you see more of the story. The Lexus and Toyota service information contains “known good” waveforms that even give instructions on scope setup. One of the most critical data PIDs to check is the operation of the brake pedal switch. The input from the brake pedal is to prevent the engine from stalling while driving in a lockup condition when brakes are suddenly applied. When the brake pedal is depressed, this switch sends a signal to the ECM. Then the ECM cancels the operation of the lockup clutch while braking is in progress. If you see a P0724, it means that the ECM has detected five incidents where the brake light either stayed off or on, and the vehicle speed sensor detected five stops from 0-19 mph. If the switch is defective, it can cause harsh shifts and even a loss of acceleration. Mechanical tests are still valid on some transmissions. 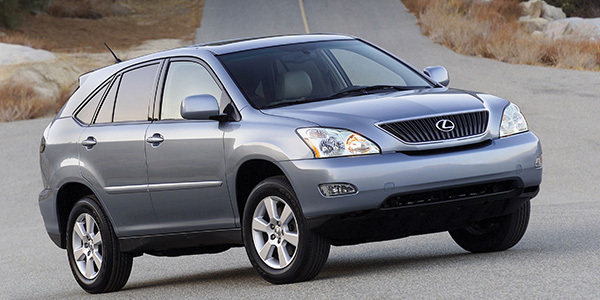 The torque converter lockup test can be performed on the Lexus RX300 and U151F transmission according to the service information. The test involves blocking the wheels, setting the parking brake and taking common sense safety precautions. Next, with your left foot on the brake, floor the accelerator and watch when the engine stalls. The target engine speed is 2,600 rpm for the Lexus. If the engine stalls, it could be a sign that the engine is down on power, the stator clutch is not engaging or the torque converter clutch is faulty. If the engine stalls at a higher rpm than specified, it could be a sign of low-line pressure, a slipping clutch or low fluid level. Another test is to measure the time it takes from when the transmission is shifted, to when the shock is felt in the driveline. The test needs to be performed with the transmission fluid between 122-176°F (allow one minute between tests). Three tests should be completed and the average time taken. When shifting from neutral to drive, it should take less than 1.2 seconds, and 1.4 seconds from neutral to reverse. Longer-than-normal lag times are a sign of low line pressure, the forward/reverse clutch is worn or other components inside the transmission are not operating correctly. Stall testing and shift times are just the preliminary tests; further tests are required to confirm a fault. In addition, the stall test will not work on later models with throttle-by-wire, and test results can be inconclusive. If the transmission is replaced with a rebuilt or remanufactured unit, there are three items that need special attention. First, clean all transmission cooler lines and make sure no contaminants are left behind. Second, when refilling the transmission, use the correct transmission fluid that matches the Toyota World Standard specification. Third, after the transmission replacement, reflash the latest software to the ECM. Toyota has made software improvements that optimize shift quality and transmission component longevity.